An ionizer is a device that 'purifies' the air around us and eliminates tiny microscopic allergens from the air, by ionizing the air molecules and electrostatically precipitating the pollutants. Ionizers are mostly used in air purifiers. An ionizer creates negative ions to purify the air and does not need to use fans and filters although some do. People suffering from allergies, asthma, respiratory ailments and impaired immunities benefit the most from these ionizers as they remove the allergens circulating in the air. An ionizer is a perfect solution for tackling mild pollution problems indoors. Ionizers are considered a better substitute to the traditional air filters both on cost and performance. Ionizers work based on the chemical properties of sub-atomic particles. An ion is either a negatively or positively charged particle. Ionizers utilize electrode pins that are charged using high voltage to generate negative ions (anions). The negative ions flood the room space and enable precipitation of positively charged particles like bacteria, pollen, dust, smoke, allergens and the like. The negative ions released and the positive allergens bond as they bear opposite charges. After bonding these particles become too heavy to remain airborne. 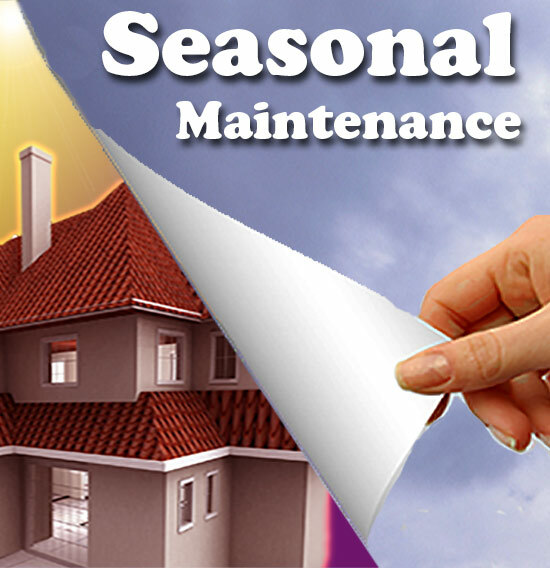 Consequently these harmful airborne particles settle down on the grounded plates that can be cleaned easily. These gadget are available as tabletop or stand alone units. High voltages produced by these generators - also results in the creation of Ozone although most well designed units should emit insignificant levels of ozone. Serious concentration of Ozone indoor can worsen chronic respiratory diseases such as asthma and compromise the ability of the body to fight respiratory infections. California Air Resources Board had announced a ban of in home ozone producing air purifiers because of these health concerns. Ionizers come in many sizes and shapes. But they all have one thing in common - a source of high voltage and a high voltage diode. Simple cheap devices use an isolation transformer with a chain of diodes/capacitors to multiply the household mains supply of 110 V (in Europe and in Asia 220-240V AC) to about a few KV. Although the voltage may be high, the short circuit current will be less than one milli ampere - thus electrocution through an Ionizer is improbable. Upscale models typically use a COB(chip on Board) device which drives a high frequency high voltage transformer (like the Line output transformer from a TV). These devices are capable of producing several hundred million ions per second. Some even sport a small fan behind the array of electrodes to effectively spread the ions around. Ionizers work best within a specified range of humidity level. Ideally they need a drier atmosphere than a damp humid atmosphere. The humidity will cause excessive arcing and may result in the production of Ozone. Relative Humidity of 80 % and above may impact the workings of many Ionizers. Ionizers can clean the air in your house and office by removing bacteria, dust, molds, pollen, soot etc. Removing pollen from the air minimizes seasonal allergies and hay fever. People with asthma benefit a lot from ionizer air purifiers as it removes air pollutants like mold spores, cigarette smoke, odor etc. Ionizers promise good sleep thus relieving tension to a great extent. Ionizers are believed to help people suffering from depression caused by SAD (seasonal affective disorder) as they remove tension and promote sleep thus regulating the hormonal levels in the body. 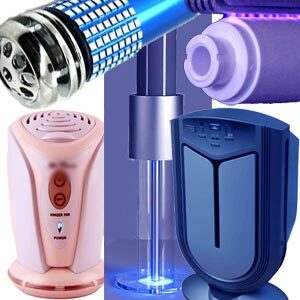 The ionizer air purifier is a type of electronic air purifier. There are two types of ionizer air purifiers. Ionizer air purifier using emitters: This ionizer air purifier consists of an emitter that sprays negative ions into the air. These emitters have a set of needles that project upward. The negative ions generated by the emitter bond with the positive ions present in the air. This bonding converts these ion bunches into lumps thus making them too heavy to remain suspended in the air. These lumps either fall to the floor or stick on to the purifier plate. These ionizers can reach up to only three feet from the ground as the negative ions have a life span of about 30 seconds from when they are emitted into the air. Ionizer models that have a fan can be effective up to seven feet from the ground level. Ionizers vary from each other in air ion production and their purifying performance also declines over time. Emitter needles also vary from each other; cheaper needles oxidize and corrode easily while expensive platinum needles last for a longer period. Ionizer air purifier using radio ionization: This air ionizer purifier utilizes radio ionization to purify the air. Radio ionization employs a specialized radio wave that can ionize the air for up to 50 feet. These ionizers are supposed to purify the air of the adjoining rooms too. 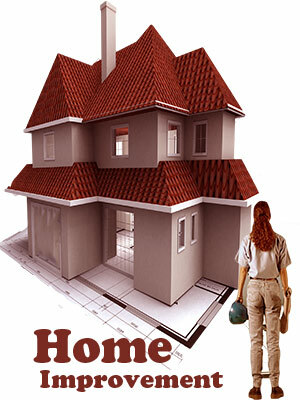 Ionizer air purifiers are available in various models. 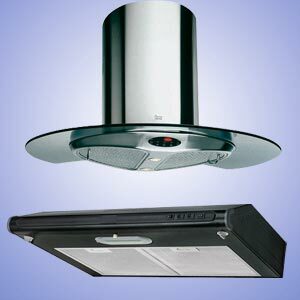 Models that can be fit close to the ceiling are more efficient than models that are placed on the ground level as they have a better reach to allergens suspended in air. No noise is the main advantage of this air purifier. No filters or fans, therefore making it relatively maintenance free. These air purifiers consume minimal electricity thus saving on your energy bills. The residue settles on the floor and has to be cleaned often. Air purifiers that do not support electrostatic collectors can cause black wall effect. Change in atmospheric conditions can make the particles lose their charge and separate from the surface. The air current can pull them back into the air, if inhaled these particles can stick to the respiratory passages. Cars are a haven for airborne pollutants. Dust, exhaust particles, smoke, pollen and other particulates can seriously affect the quality of the air inside a car. A car ionizer cleans and freshens up your car as it efficiently removes all airborne pollutants. A car ionizer generates negative ions that bonds to the pollutants in the air and thereby removes them from the air. Benzene - a carcinogen is released when certain plastics or synthetic fabrics or paint material is exposed to the heat and Ultra Violet radiation, so common in a parked car baking in the sun. Car Ionizers and a judicious ventilation of the Car after you get in might be worth the trouble. Measure the interiors of your car and choose an ionizer that will fit the size of your car. Choose ionizers that have reservoirs, you can add air fresheners to these reservoirs. The air-freshener function can be switched on when necessary and switched off when not required. Large car ionizers have fans that generate a mild noise. If you want an ionizer without noise, choose smaller versions. To retain the effectiveness of car ionizers, make sure you clean them regularly. High levels of positive ions circulating in a room promotes secretion of serotonin which affects the mood of the occupants adversely. 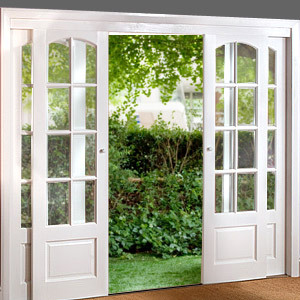 It creates a 'stuffy' 'closed room' atmosphere. Ionizers help asthma patients as they remove allergens from the air. Ionizers guarantee good sleep as the air around gets fresh and induces good sleep. Good sleep can ease tension thus relieving us of various health issues. Ionizers have a profound effect on people with SAD (Seasonal Affective Disorder). Ionizers reduce tension and help in regulating hormone levels in the body by reducing depression in people. Ionizers help reduce hypertension and respiratory rate, thus indicating relaxed state of mind. Improves body resistance towards infections. Ionizers that do not use carbon filters can produce a huge amount of nitrogen oxide and ozone that can be harmful for the lungs. Very powerful ionizers can produce positive ions thus getting ineffective. This results in dust accumulation and respiratory problems. Nosebleeds are possible in a few people when they are exposed to excessive amount of negative ions for a long time. Large concentrations of negative ions near the ionizer can result in mild electrical shocks when a person touches any metal. High levels of static electricity can result in damages to sensitive electronic equipment if they are not adequately shielded. Negative ionizers often keep people fresh even after hours of watching TV or working on the computer. This can be detrimental to health when persons do not take adequate rest. In general people with blood circulation problems can feel the benefits of using this device whereas healthy people do not find any profound difference. First Published Date: 12 Nov 2009 Last modified Date: April 18 2019 This page may have been updated recently as new information is available or the content may have been edited for better readability.